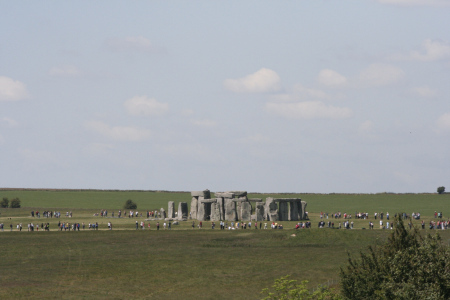 The next day we left for Salisbury, which, of course, is famous for Stonehenge. It was close to the end of our trip now, the penultimate night. The last night would be in London. For this night I had booked us into a guesthouse in Amesbury, a small village, a little distance outside Salisbury. I was hoping that we would be able to walk to Stonehenge, which was supposed to be just down the road from our guesthouse, Mandalay. It was, but nobody mentioned that to get there, you’d have to cross a busy motorway and climb over a barbed wire fence.